I didn’t have to put on a fancy low cut dress or walk a red carpet but I received some awards, and it’s time to pass them on! 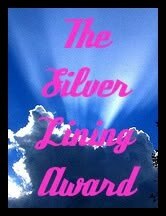 Thanks to Heather at Edited to Within an Inch of My Life, for The Silver Lining Award. And I pass it on to to Kristin Torres-Toro at Write in the Way. 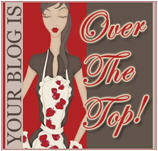 I think everyone that peeks at my blog, reads hers too, but if not check it out. She had a very inspirational post today (Monday). Thanks to Karen Strong for the Over the Top award. 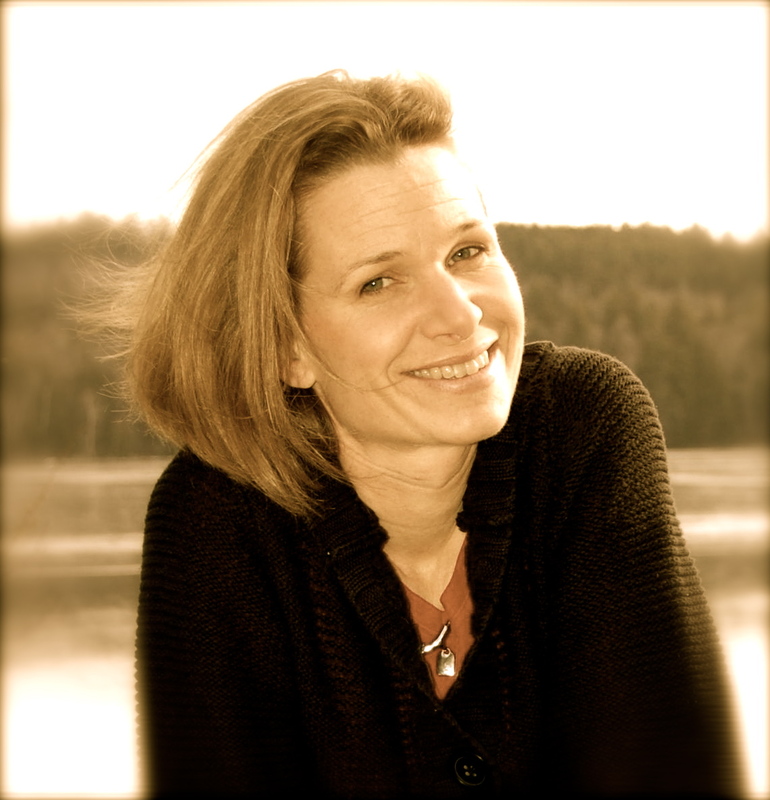 Check out her thought-invoking post from Monday. Guarranteed to make you ponder life and writing. Where is your cell phone? Gulp. Don’t have one. Your hair? medium Your mother? Cool. Your father? A running fool. Your dream last night? None. What room are you in? Kitchen. Where do you want to be in 6 years? At home. Where were you last night? Watching Super Bowl. Something that you aren’t? Stuck up. Wish list item? New computer desk. Where did you grow up? Small town. Last thing you did? Chatted with my crit group. What are you wearing? Fleece jammies. Your mood? Right in the middle. Something you’re not wearing? My puffy coat. our favorite store? One with the shortest line. When was the last time you laughed? Today. Last time you cried? Depends on how you define cry. Your best friend? Too far away. One place that I go to over and over? Elementary school. One person who emails me regularly? My husband. Favorite place to eat? Papa Gino’s. I have a really hard time believing anyone read that! I’ll be having a test next week. Okay, I’m leaving the lime light, trying not to trip on the red carpet on my way out. Seriously, go check out those awesome blogs! 7 Responses to A few awards! These are great. My favorite is your hobby. Just like mine is not gardening. Congrats on the awards! I could add not gardening or landscaping to mine too. Very interesting answers Laura. I would so ace your test! You should hold fast to not owning a cell phone. It is the devil! I have to hop over and read Kristin’s blog. Love hearing inspiration every chance I get. Yay! You deserve the awards. Thanks so much for the award, Laura! I’m kind of in shock that you don’t have a cell phone – that’s impressive!